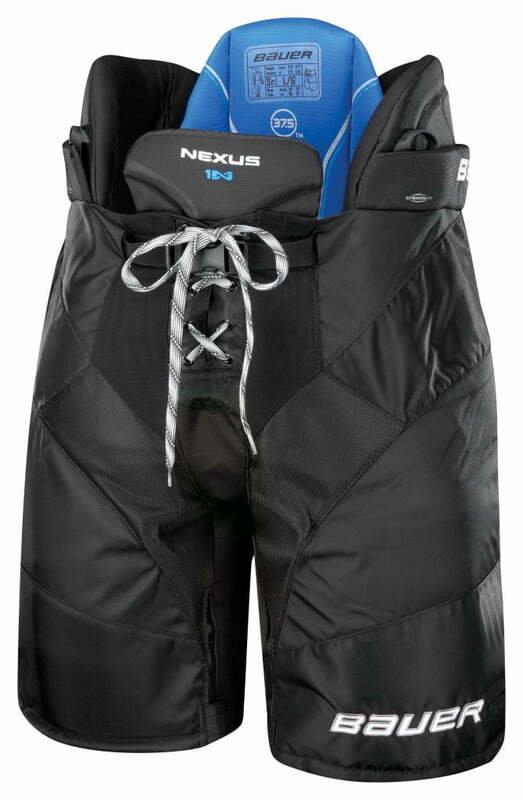 Bauer Nexus 1N Senior Hockey Pant | Sports Etc. The Bauer Nexus 1N pant has a classic construction, which offers a wide, volume fit that allows for an effortless stride. Molded EPP foam is located in the spine and kidney guard, which improves impact characteristics by 10% and weight by 15% versus a traditional double density foam. Contains a premium energy-absorbing shell technology, located in hip guards and thigh guards, which keeps the product lightweight while maximizing protection. Sports Etc Performance To Value Rating– 9 out of 10. One of the most protective pants on the market, with an added emphasis on kidney, spinal and hip protection. Great for any person playing competitively.